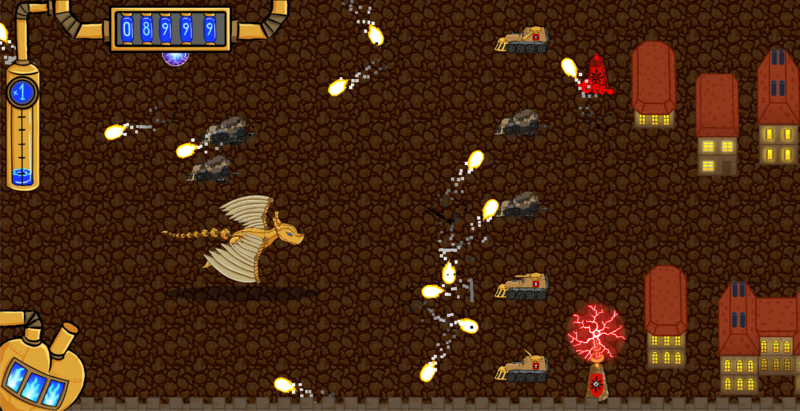 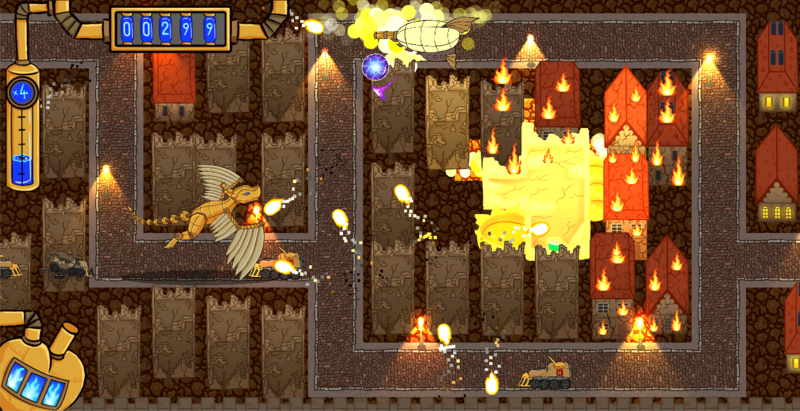 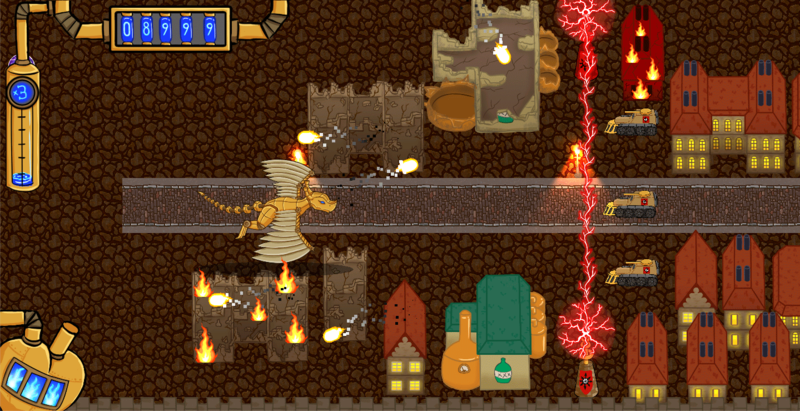 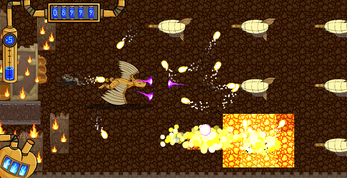 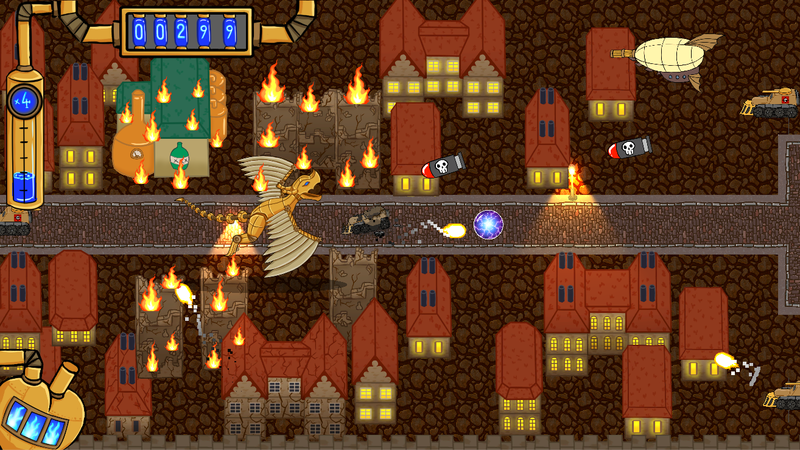 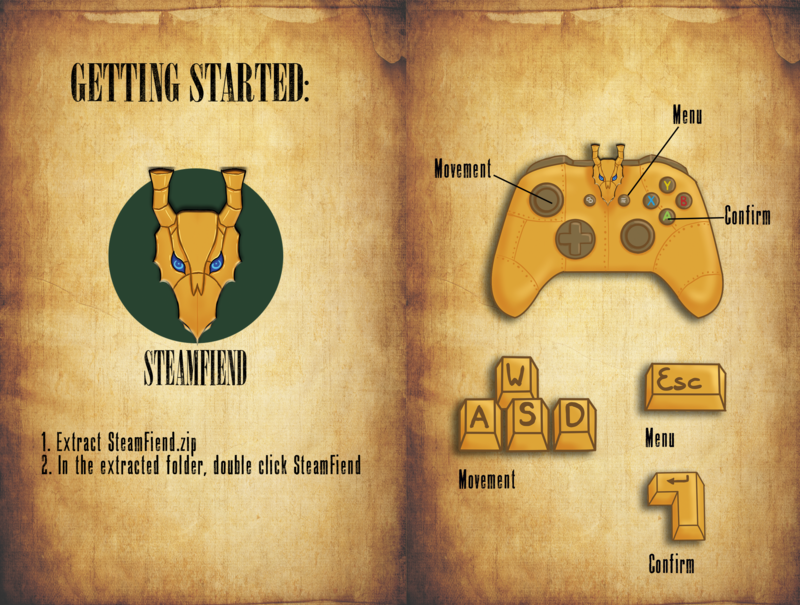 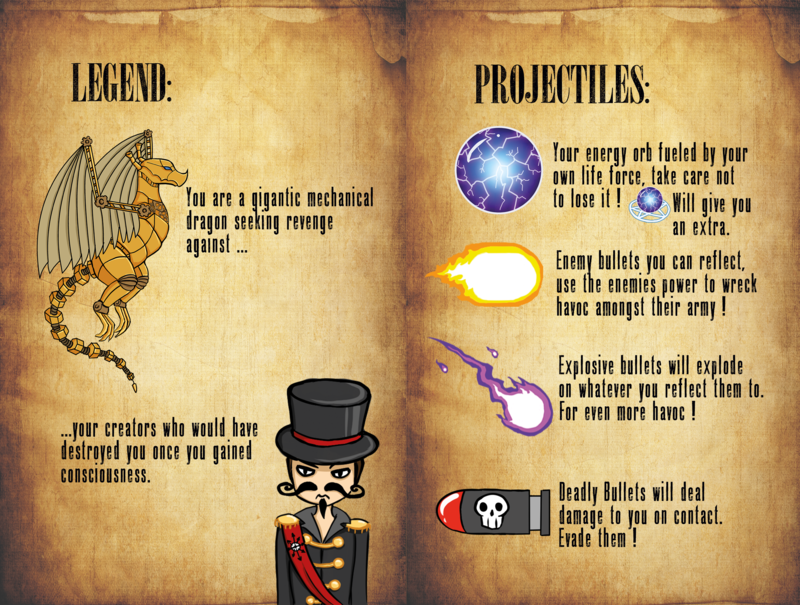 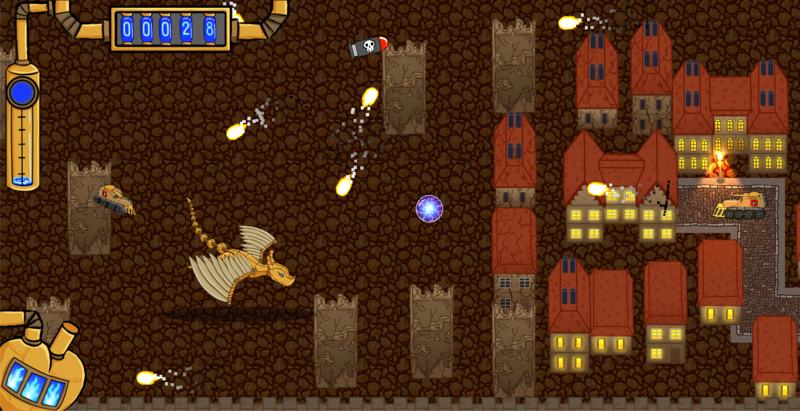 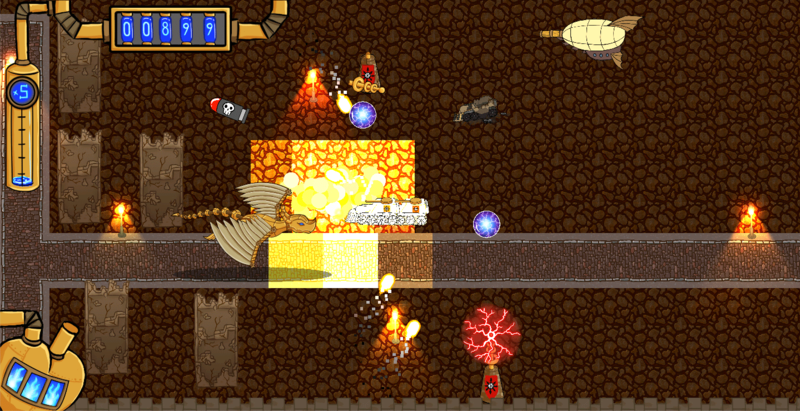 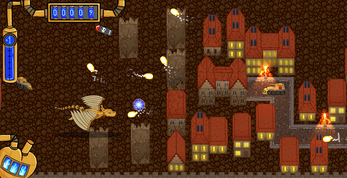 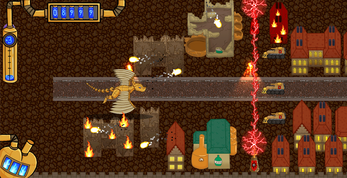 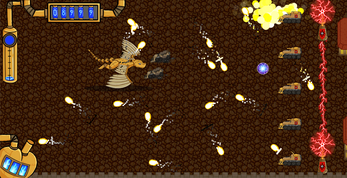 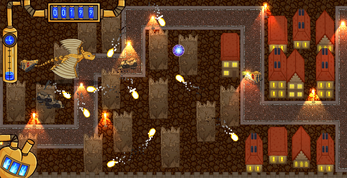 Command a gigantic mechanical steampunk dragon and destroy the city to get your revenge! 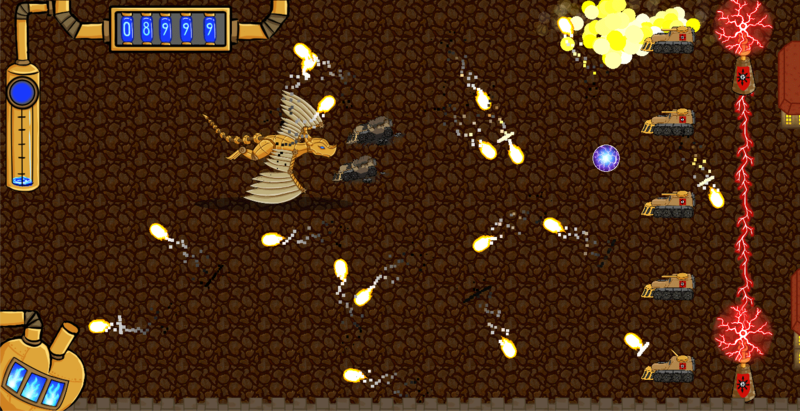 Destroy humanity by reflecting their own attacks back at them. 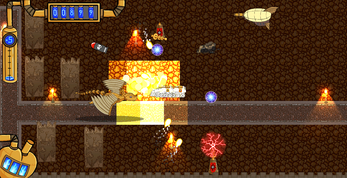 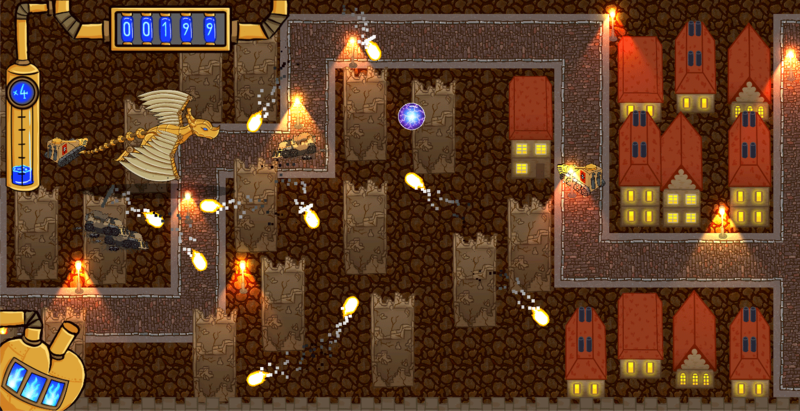 Experience the thrill of destruction as you wreak havoc in this breakout+shoot 'em up mash-up. 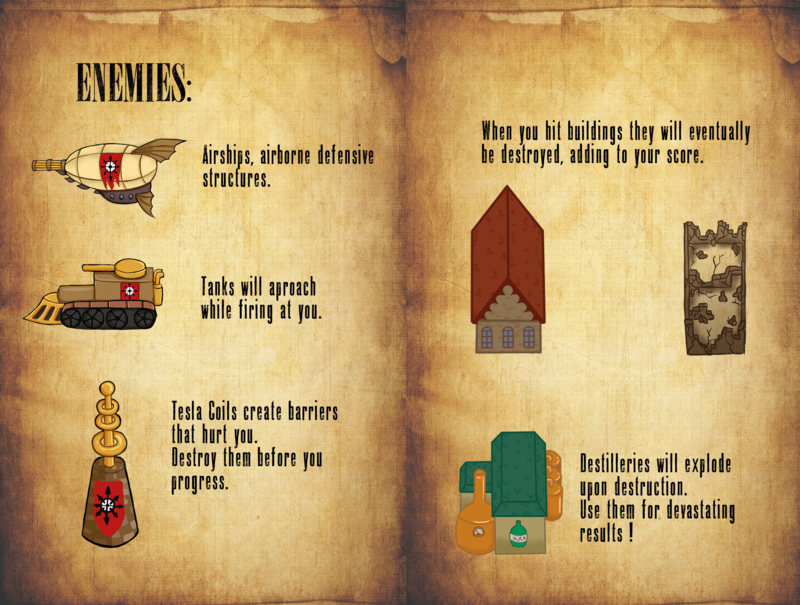 Made at the Games Academy Berlin for the Summer Semester 2017 Game Design class.